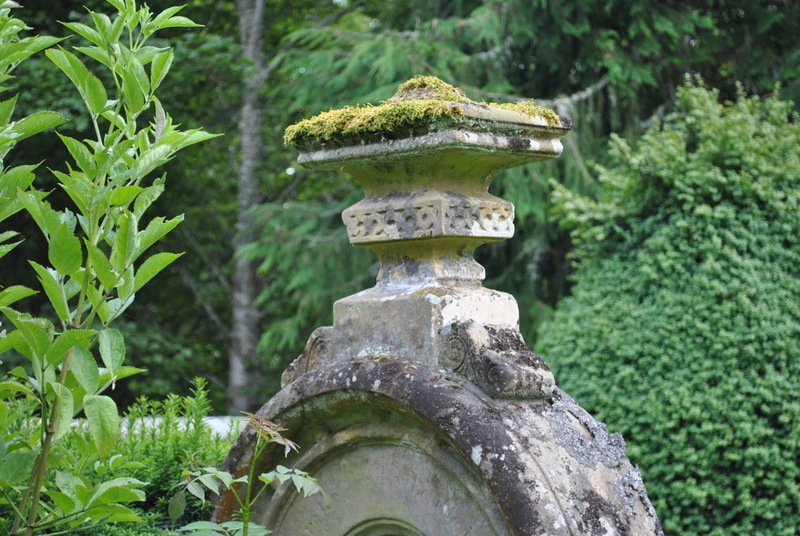 Urns were en vogue in the 19th century, not only in Scottish graveyards. 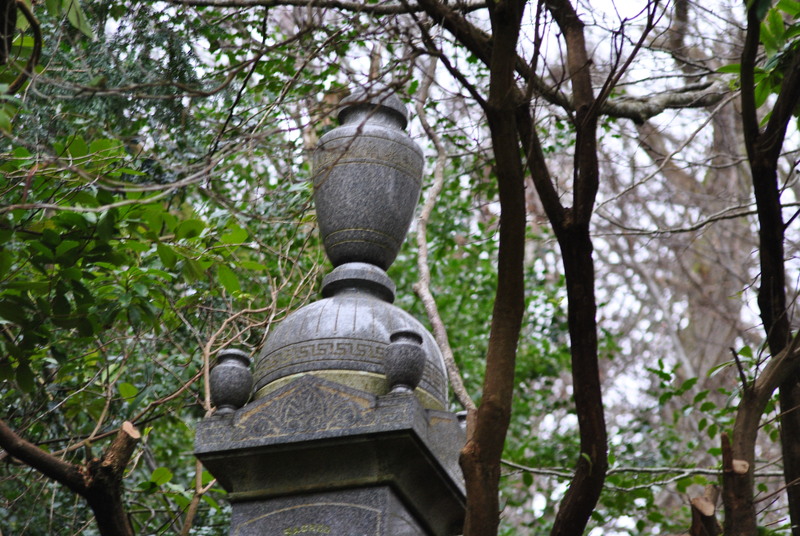 It was common in the United States to decorate the grave with an urn. These urns were quite independent from the crematory aspect as they rarely contained ashes but were used as symbols only. An urn is reverential, sombre, elegant and has class. 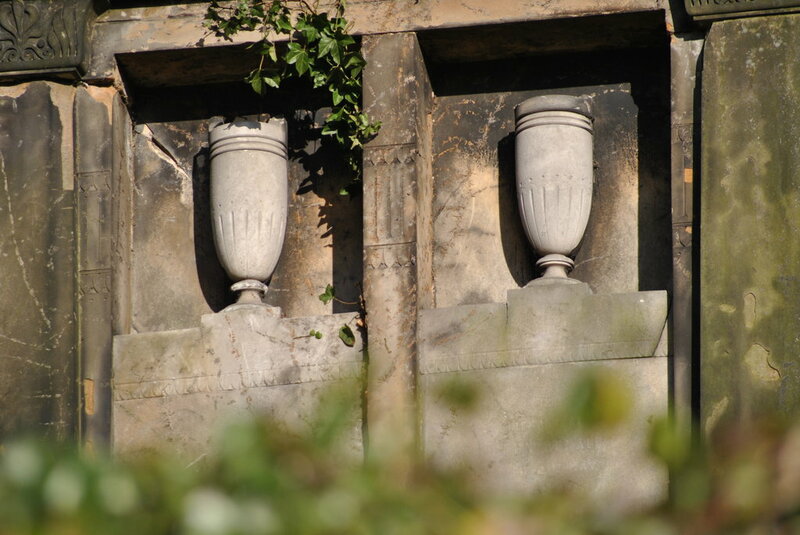 Grecian urns made it into many rich houses in Scotland in the 19th century. The idea behind it was created by the great romantic poets of the English tradition and their love of the past. 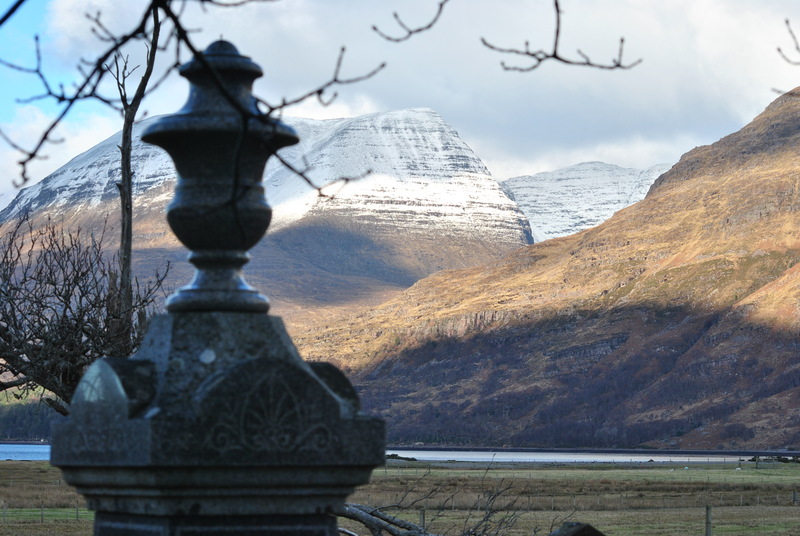 The urn becomes the “cold pastoral”. Often the urns are draped with a veil, cloth or shroud. Works on mortuary art differ considerably in their views on what the veiled urn actually means. (Douglas Keister: Stories in Stone; Gibbs Smith, 2004, p.137). I would argue from the point of style, which was in itself one of the reasons of choosing that particular design and the shroud or veil then giving the urn an even more classy, slighty Romanesque touch. 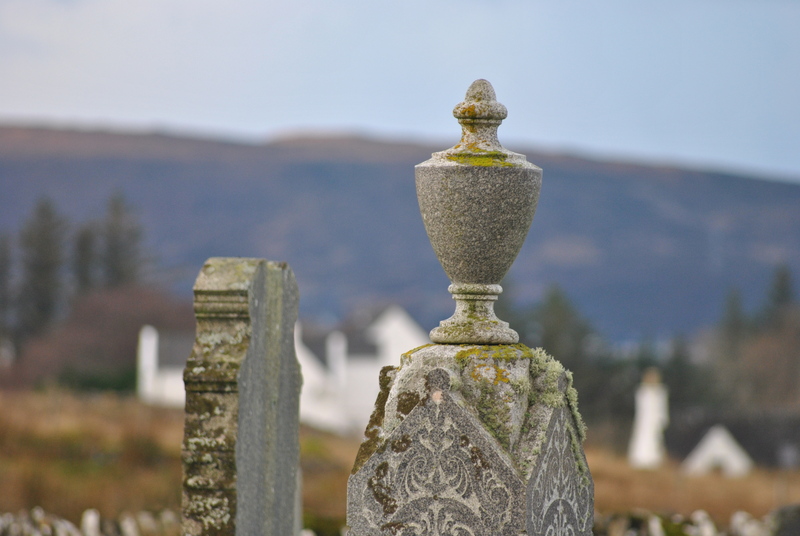 Since urns (veiled or plain) often make the highest points of a graveyard, I would also argue the case that it might simply be a symbol of power and influence of the family erecting the headstone. 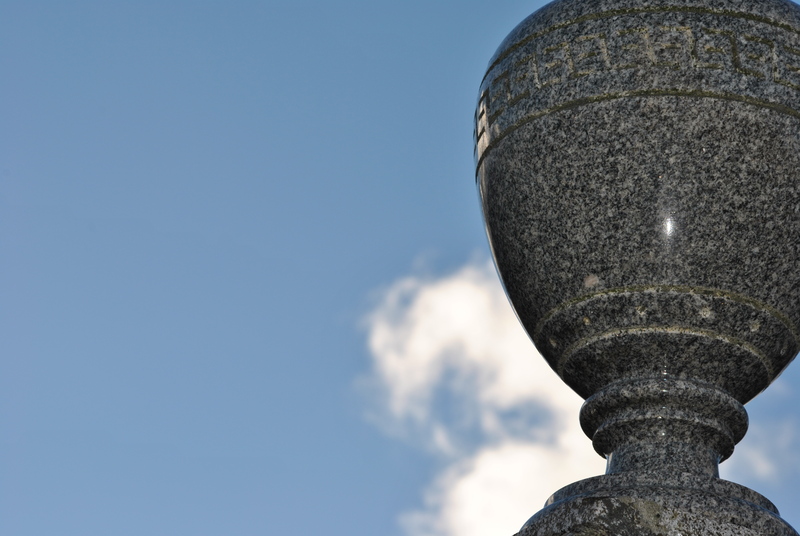 They chose an urn that rises elegantly towards heaven. 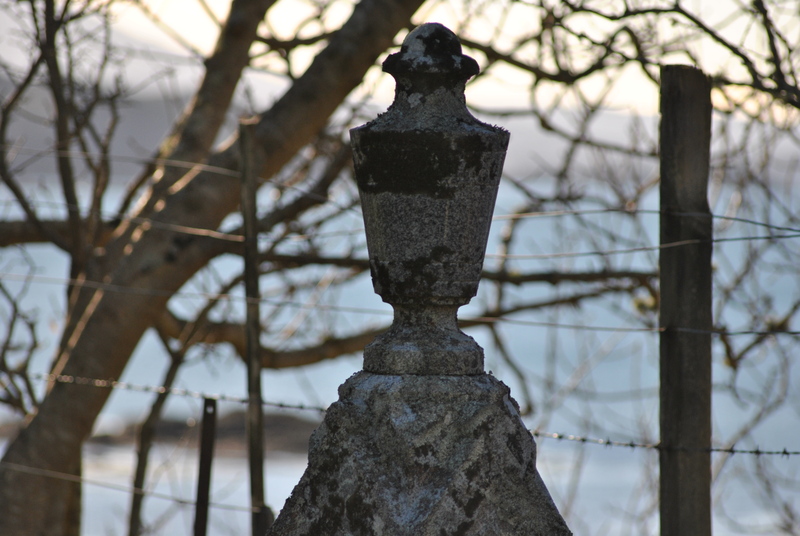 An urn is the epitome of elegance, class and style and had soon replaced the skull and crossbones on many graveyards in Scotland and the world. That is especially true for large cemeteries in cities like Glasgow, Edinburgh or Inverness, where the rich and famous were interred. But it is just as much true for the rural parts of the North of Scotland. The urn was in its origin a means of storing the ashes in case of cremation. The container then developed into a stylish symbol of death, many would choose in the 19th century. 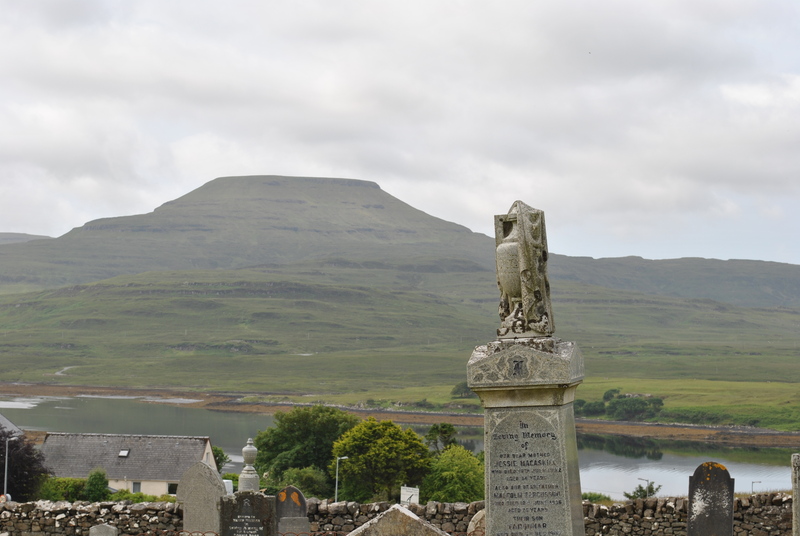 It also has a certain safety aspect, carefully enclosed in an urn like a body would be in a coffin, without rot and mould, just pure and clean stone or marble. The roundness bringing a softer aspect into the harsh reality of he business. 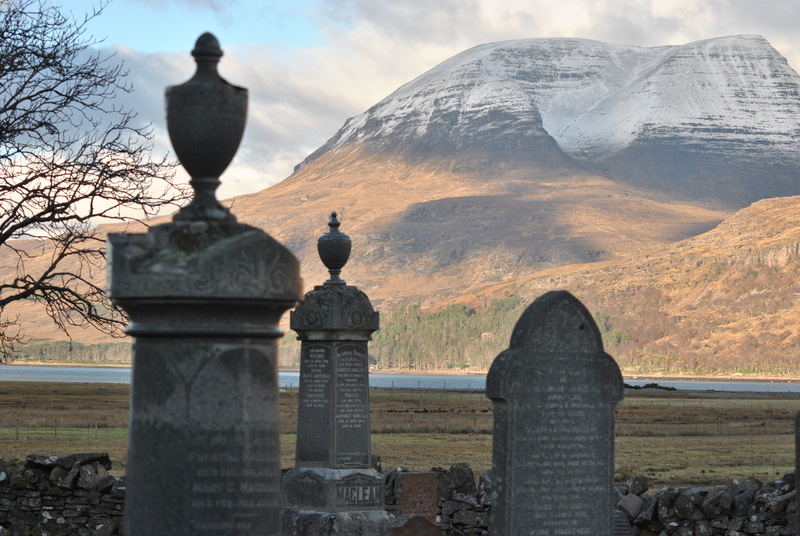 In Scottish rural areas on the other hand, many headstones sprout a variation of the classical rounded urn, square with edges, much harsher. Too fancy would not do in those days.